Shahid Kapoor impressed one and all with his bold dialogues and rebellious avatar in the teaser of ‘Kabir Singh’. The actor reportedly underwent a massive transformation to get into the garbs of a college-goer. 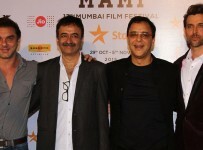 Shahid shed 14 kilos for his medical student role in the film, wherein he sports a second look as he turns into an alcoholic after losing the love of his life. He grew a massive beard and mane for his character. ‘Kabir Singh’ is inspired from Telugu hit ‘Arjun Reddy’. While the original was directed by Sandeep Vanga, this Shahid Kapoor-starrer will also be directed by the same filmmaker.